Our History | Lowell Tucker Enterprises, Ltd.
Lowell Tucker's aviation career began in 1966 with enlistment into the United States Army with an appointment to United States Army Helicopter Flight Training School. Upon graduation from the flight training program and commissioned a Warrant Officer he was reassigned to the Republic of South Vietnam. Lowell Tucker served with the 176th Assault Helicopter Company in Chu Lai, South Vietnam. Upon returning to the United States Lowell Tucker was reassigned to the U.S. Army Flight Training School at Fort Wolters, Texas as an instructor pilot for the remainder of the enlistment. Lowell Tucker has pursued a career in aviation for over 52 years. Employed by a number of helicopter operations Lowell Tucker has practical flight experience in the preponderance of the modern day helicopter models. This flight experience has allowed Lowell Tucker to experience almost every segment of the helicopter industry. Aerospatiale Helicopter Corporation now known as America Eurocopter Corporation employed Lowell Tucker as a Regional Marketing Manager for almost 15 years. 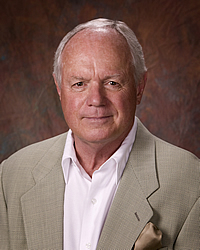 Lowell Tucker managed the Southwestern United States and was responsible for the sale of American Eurocopter products. Lowell Tucker Enterprises, Ltd., a helicopter brokerage organization, was established in 1999 for the sole purpose of assisting customers in the sales and acquisitions of helicopters. Lowell Tucker Enterprises, Ltd. enjoys an international reputation for a professional relationship with many international helicopter operators and helicopter sales organizations.